Baby, it’s gotta be that deep sensation of finally relaxing your eyeballs when you pull your specs off at the end of the day. And whether you’re resting your Coke bottles on the bedside table or peeling your dry, itchy contacts out after a late night and a long cab ride, you just gotta love that perfect sense of freedom and fresh air. Yes, when you pull off those lenses you can just blink twice, feel that burn, and give yourself a well deserved Pre-Dream eyeball massage. 5. Unbuttoning the top button of your too-tight dress shirt after a long wedding day. You trucked around town in a strangling tux and a tie, your neck sweated and brown-collared your shirt through the pictures, wedding ceremony, speeches, and dance. When you’re back in the hotel room, just pop that button off and let it all go. 4. Flipping your belt buckle open after a big turkey dinner. You packed that stomach with slabs of turkey, slops of potatoes, mounds of stuffing, and a glass full of gravy, so when you let your stomach just flop onto your lap it’s impossible not to droop your eyelids and smile a nice and slow open mouthed smile. 3. Taking your shoes and socks off after a long day at work. Hey, we’ve talked about this one before, but it’s hard to beat the feeling of your leg hairs straightening out and blood recirculating in your calves after a sweaty day at the office. 2.Untying your corset in your dim, candle lit castle tower. Such sweet relief from a long day of washing your hair in the courtyard well, attending a stuffy dinner with the King, and sitting through hours of poetry with the troubadours in the town square. 1. Cracking open your ski boots after a day at the slopes and walking around in sock feet. All the bumps and blisters on your feet finally relax and dentisify by the chalet fire after being squeezed together all day. If you’re still reading then you know all of these pleasures make life so juicy and delicious. So if you’re nodding along and loving these buzzes then you deserve big ups for enjoying tiny moments of pure bliss wedged tightly in the middle of your busy and stressful day. So today we give you a recognition you truly deserve. I also love the feeling of taking pantyhose off after a long event. FREEDOM!!! Why, I have no idea what that feels like. 2.Untying your corset in your dim, candle lit castle tower. Who the hell is writing this? Apparently, Elizabeth Swan. ;-D After seeing the first Pirates of the Caribbean I hate corsets. And doesn’t that movie rule??? GO JOHNNY!!!!!! I love all of these, but obviously #2 is the best. I mean who DOESN’T love that feeling? Hahaha. I enjoy all of these but the best is taking your shoes/boots and socks off. I even do it at work! What about Canada day?!?! I assume your American, so how can your neighbors up North NOT be awesome? Without us you wouldn’t have maple syrup, hockey or the zipper. Totally with you, Viki. I love unzipping maple-syrup, drinking hockey, and playing zipper. Oh gosh, I couldn’t agree more. The second you take off your contacts (or put drops in) is the sweetest relief ever! I don’ wear contacts…and was going to skip past this one until I saw the five other similiar feeling. After reasing the post I think the feeling is like removing your tighty whiteys after a long day in the polyester-high-school-uniform. Those grey pants…Yikes. This is the same thing as taking your shoes off for a long car ride and taking your high heels off…these repeats are getting annoying. Each one of those Feelings is Awesome in its own unique way. That feeling of taking off ski boots is the best. Awesome! I got the nosepad marks on my nose all the time the longer I wear them. I’m with you, mike. Nose bumps for life, buddy. I read the post, and my eyes told me to immediately take my contacts out. Even though I still need to wear my glasses, sweet relief! Sasha, it’s always best to listen to your eyes. Sometimes mine tell me to watch football all day. Who am I to argue? You watch football? Really? What’s your favorite team? The best feeling is getting back into your winter boots after ice-skating! You feel like the boots has gained a point or two! Yes, I must add the removal of the bra as one of life’s sweetest pleasures — for both genders, but for the female types, it’s definitely more of a relief than anything else. Although if a man is at the “will she or won’t she” stage, perhaps a relief for him as well? contacts can be the worst sometimes. for the past 6 years, i’ve been wearing contact lenses and i know the feeling of relief you get when you take them off. last year, i had lasik surgery. i was relieved i got ridd of glasses and contacts, but i miss my pre-dream eyeball massage soooo much! LASIK is a surgical procedure intended to reduce a person’s dependency on glasses or contact lenses. The goal of Lasik People is to provide objective information to the public about LASIK laser eye surgery. See other sections of this site to learn about what you should know before laser eye surgery, what will happen during LASIK laser eye surgery, and what you should expect after LASIK laser eye surgery. Being able to remove your bra at the end of a long day without having to remove your shirt first. Just unhook and wiggle it out your sleeves. I can practically hear my eyes saying “Thaaaank Yooooou!” as I take out my contacts. I have been using contact lenses for since I was 18 years old and I can tell you that after a few weeks you will not even realize you have them in your eyes. Sure you will take a few weeks to get use to them. But I can guarantee that you will very soon forget that you even have them in. It only takes a few seconds to put them in and be on your way. 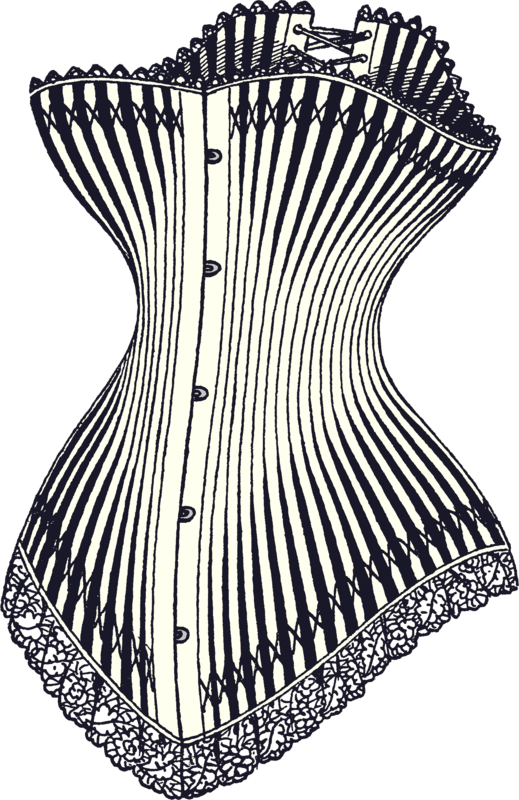 OMGosh…if I had a past life I must’ve required a really tight corset! I’ll never see the deep sea or swim with dolphins, because there’s just one word for the wet suit I may’ve had on for…the time it took to get on and that is Claustrophobia! Bliss to take it off~anything stifling…be off with you! Hehe pretty eye balllllll…. HI EVERYONE TOMORRO I’m TURNING 8!!!!!! :D I wik this app!!! Seriously, all you non glasses wearers, you do not know what you are missing!